Jakarta Provincial Government will re-hold Jakarta Carnaval in the upcoming July. "Asian Games is getting closer thus we take theme 'Jakarta Spirit to Asian Games' "
This time, the event that is held as a series of 491st city's anniversary is the theme of Spirit Jakarta to Asian Games. 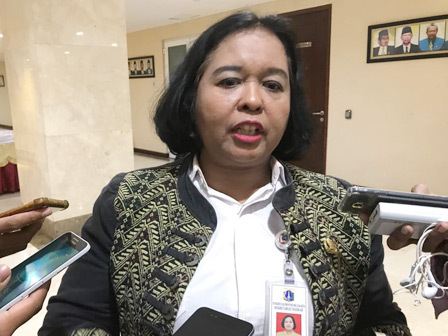 "Asian Games is getting closer thus we take theme 'Spirit Jakarta to Asian Games' ", expressed Tinia Budiati, Head of Jakarta Tourism and Culture Dept., Friday (6/29). She explained, according to the theme, athletes would participate in a parade from Jalan Medan Mereka Selatan until Barat in the afternoon. The parade will end in the courtyard of Monas. The participants are scheduled to follow the next event on the entertainment stage that has been prepared. "Nevertheless, people should know who our sporting heroes are going to compete in the Asian Games.This is a promotion event," she uttered. Later on, 70 decorated vehicles from art communities will also enliven the event. "Totally there will be more than 3,000 participants," he said.